Ignition Casino is a crowd favorite with players from Australia and the USA because of its extensive list of RealTime Gaming (RTG), Rival, Makitone and Revolver Gaming software. You can lock into a unique blend of video slot machines, table games, video poker, progressive jackpot slots and specialty games (bingo, keno and scratch cards). In addition to its healthy library of games, its bonuses are huge, a fantastic incentive program that rewards regular depositors and in our opinion it’s one of the best Bitcoin casinos to players from the United States. The games are mobile friendly (Android, iPad, iPhone or tablet) and they can be played on desktops (PC Windows and Apple Mac). To play here, patrons must be at least 21 years or older. It’s no child’s play operating an online casino since there are a slew of factors involved. The operator’s promotions is tailored in such a manner that players get something back even if they’ve lost. Not only does this keep players happy but it ensures that they keep on coming back! There are two deposit casino bonuses available to first time depositors. 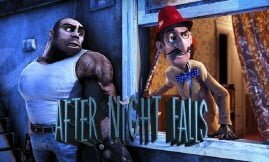 The first bonus up for grabs is a 100% match bonus of up to $2,000 of which $1,000 can be used to play slots. The other $1,000 bonus can be used to play poker. If you deposit $100 your deposit will be matched with a bonus of $200. Then there’s a cracking Bitcoin bonus of 200% up to a maximum of $2,000 divided into a slots bonus of $1,000 and a poker bonus of $1,000. As you can see there’s a bonus available to fiat currency (dollar) players and to Bitcoin players. The same terms apply to both bonuses. A cash out will only be allowed once the roll over requirement of 25x the deposit and the bonus sum is completed. Players who accept the Bitcoin bonus can redeem it with the code ”IGBITCOIN200”. The following games are excluded from the bonuses: Baccarat, Craps, Double Deck Blackjack, Single Deck Blackjack, Roulette and Sic Bo. The following games count 100% towards the WR (wagering requirement) all slots and scratch cards. While table games (blackjack excluded) contribute 60%, video poker, blackjack and classic blackjack count 30%. ‘Poker Points’ can be earned too it depends however on the size of your deposit. For example, a deposit of $100 solicits 1,000 poker points. Keep in mind that each bonus can only be redeemed once. The terms and conditions of the bonuses are amicable and within the industry standard. Ignition Casino’s VIP package to active players could best be described as the ‘Real Deal’, why? It’s divided into a staggering 8 levels starting with ‘Steel’ up to ‘Diamond’ level. As you work your way up to new level so will your perks increase. Each level awards you with a cash back bonus on your losses, special and reload bonuses, comps, Bitcoin bonuses, increased withdrawal limits and a monthly bonus draw. You will earn 1 comp for every $1 wagered on slots and 1 reward point will be given for every $4 wagered on other casino games. Players who earn at least 10 ‘Reward Points’ stand a chance of winning one of four $500 cash prizes or the generous $1,000 grand prize in a draw. Ignition steered away from the proverbial “one casino one software developer” look. Its current portfolio of games could best be described as buffet-gaming, in other words players can pick and choose from a myriad of games. It teamed up with Rival, Makitone, Rival and Realtime Gaming. The bulk of the games are offered by the latter vendor but players won’t be disappointed by the games of the other vendors. The majority of the games are slots (160), divided into Rival, i-Slots, progressive jackpots, 3 and 5 reel classics as well as video slots. The pick of the RTG and Rival slot machine crop are Panda Magic, Snowmania, Jumping Beans, High Fashion, Paydirt, Enchanted Garden and Samba Sunset. 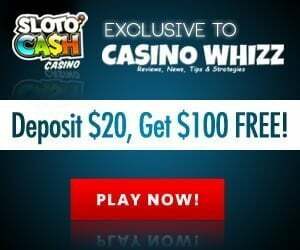 The reason why we chose these slots is because they have a high-hit rate, they offer free spins features, decent jackpots and pick me bonus games (https://casinowhizz.com/realtime-gaming-rtg-loose-slots/). The slot machines with high-end graphics play well on mobile phones, however, should you experience any problems simply reduce the graphics settings. The table game variety is equally impressive. Here you can play blackjack and roulette variants, sic bo, craps, baccarat, Vegas Three Card Rummy, Texas Hold’Em, American Roulette, Classic American Roulette, Tri Card Poker and many more. Standard Blackjack – This version of the game is played with 6 decks, insurance is not available and the dealer hits on a soft 17. Double Deck Blackjack – 2 Decks are used (better than the 6 deck version) which is advantageous to the player because it increases their odds. European Blackjack – Before the dealer receives the second the player must complete all his moves. It’s popular than its American counterpart and the dealer stands on a soft 17. Perfect Pairs – A side bet can be placed which pays as much as 25 to 1 if the player’s cards are a pair. Single Deck Blackjack – In my opinion the best blackjack variant since it offers the best theoretical return. Blackjack pays 3 to 2 and the dealer hits on a soft 17 which improves the odds of the player by a hefty margin. Zappit Blackjack – Any unwanted cards can be discarded and replaced with new ones. Last but certainly not least is the video poker games. Popular games are Aces and Eights, All American, Jacks or Better, Deuces Wild, Double Joker Poker, Tens or Better and Joker Poker. The list is not as extensive as we would have liked but adequate nonetheless. They offer return to player percentages of 98% and above but you must understand the basic strategy of each video poker game and its odds. Ignition Casino has a bustling poker room. In fact, it is the largest poker room available to players from America and Australia. Remember, with your first deposit, you’ll get a 100% up to $1,000 bonus to use in the poker room in addition to the casino bonus. Ignition does poker a bit differently than some competitors because everyone remains anonymous and their usernames are not shown at the tables. This takes some getting used to, experienced poker sharks won’t be able to hunt you down and use sophisticated software to track your playing habits. Cash games are listed with blinds from $0.02/$0.05 up to $10/$20, so you can select the stakes that are most suitable for your bankroll. Sit & Gos are available from $1.05 to $214 while multi-table tournaments are present at buy ins both low and high. From time to time Ignition hosts series of tournaments that let you pit your skills against hundreds or thousands of players in many formats of poker. Two non-standard games grace the Ignition Casino Poker room. Zone is a fast-fold ring game variant where you can fold your hand and move instantly to another table to begin another round without having to wait for the previous hand to complete. Jackpot Sit & Go alters the traditional SNG formula by introducing a randomized multiplier that can grow the prize pool to as much as 1,200 times the buy-in! There’s a special perk that you can look forward to at Ignition Poker. As long as you can make it to Chrome tier in the Ignition Rewards program you’ll be able to play in a $2,500 poker freeroll each week. This is pretty easy to achieve granted that you must wager at least $500 at the slot machines. Once you attain Chrome level, you’ll never drop back down even if you don’t place any more bets. You can fund your account with Bitcoin, Visa, Amex, Rapid Transfer, check, Bitcoin or bank transfer. We’re impressed with the manner in which the casino sends out checks for cash outs, it normally arrives within a couple of days by FedEx. One complimentary check is granted to players per month, extra checks will be charged a fee. For Rapid Transfer there’s a fee of $12, Amex 9.9%, Visa 5.9% and MC 7.9%. Check by Courier – $100 is the smallest amount that can be cashed out while the maximum withdrawal is $3,000. Bitcoin – $20 is the minimum and the maximum amount that be withdrawn in a single transaction is $3,000. Bitcoin cash outs are cleared once every 3 days. Winnings can be cashed out through the casino’s dashboard. Players can only make one withdrawal every 7 days. If you already made a withdrawal via courier you’ll have to wait a week before you can request another withdrawal. However, if you’re using Bitcoin during this period you can request another withdrawal. 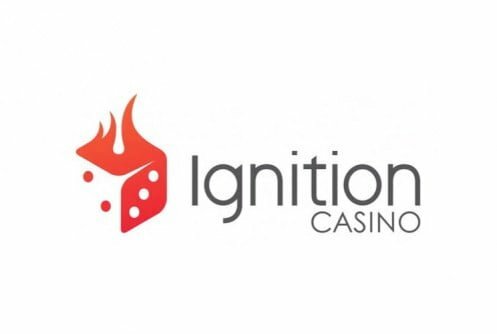 The staff at Ignition Casino can be contacted through live chat, email ([email protected]), online form or telephone (1-855-370-0600) 24 hours a day, 7 days a week. We find the staff to be friendly and helpful. Just make sure that you include your username and the query you’d like the staff to address. An online form is available to you, to get the ball rolling you must state the nature of your query. We tried it out to our surprise we received a reply within 2 hours. It’s quite good given the fact that the operator operates at different times zones. Support responds to all queries within a couple of hours. The site’s responsible gambling section covers all angles by listing links to various self-help sites free of charge. There’s a self-exclusion option where problem gamblers can cut themselves off from the casino for a certain period to indefinite. In any casino operation encryption is key. Ignition Casino protects your private information by using SSL (Secure Socket Layer) technology. Your personal information is scrambled by it which makes it impossible to read should the operator be hacked into. We scoured the site for any audit report but did not find one. 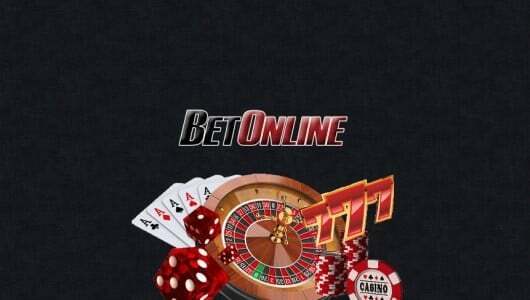 The operator does state that its software is safe, the RNG (random number generator) of its games is tested often which guarantees its patrons a fair change at winning. 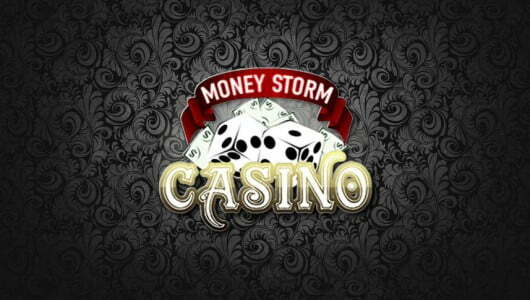 To put your mind at ease this is one of the safer U.S online casinos we’ve reviewed. In summary. The paint on Ignition Casino’s virtual wall is still wet, like all good things in life there’s still a few areas where the operator needs to sharpen up. Despite this it still remains one of the better sites for U.S cryptocurrency casino players. 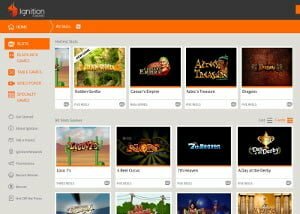 It boasts a nice collage of games by different vendors, a solid retention program, decent promotional offers and satisfactory support.